To attract retirees, a city must have nice weather, great entertainment, facilities for senior citizens and a sense of community. Not every city can meet these requirements well, but Fremantle does. Catering to retirees presents a tremendous opportunity. Many developers are in talks with the city management to build high rise retirement villages in Fremantle. In the past, there was a lack of greenfield sites and this prevented such facilities from coming up in Fremantle, but not anymore. The Fremantle city council has adopted amendments to the city’s Local Planning Scheme that will increase commercial, retail and residential density in the city’s CBD. Height restrictions have been amended and this is expected to benefit 12 non-heritage sites in the CBD. The impending completion of the Fremantle hospital rejig also helps. Did you know that the number of elders in Fremantle has increased by over 3% from 2001-2011. Fremantle Mayor Brad Pettitt says that city council wants to ensure that people who have grown up in Fremantle, can stay here, even in old age. As such, a number of facilities have sprung up to cater to these retirees. Special accommodations, home support, services, arts and crafts, choirs, clubs for seniors and physical activities, yoga and tai chi, dancing classes have come up. Now, seniors don’t have to worry about getting bored or having nothing to do because there are so many activities not to keep them engaged. This does not mean that the city does not want to attract younger people. Fremantle already has a University. So for sure, there are a number of young people in the city at any time. The city also has several other facilities that appeal to youngsters like pristine beaches, sports and outdoor facilities, a number of restaurants, pubs, breweries and nightclubs. 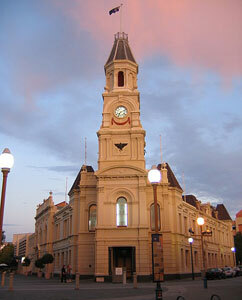 The city also has its very own foot ball team, the Fremantle Dockers who are part of the Australian Football League. What more could a young family want? Plans are also afoot to develop accommodation which will specifically cater to families. The council agrees that the city does not have much spare land but it can certainly make space for a few thousand people more. If you are looking for accommodation or still better, you want to buy a house in Fremantle, please don’t hesitate to contact us. We will be glad to help.